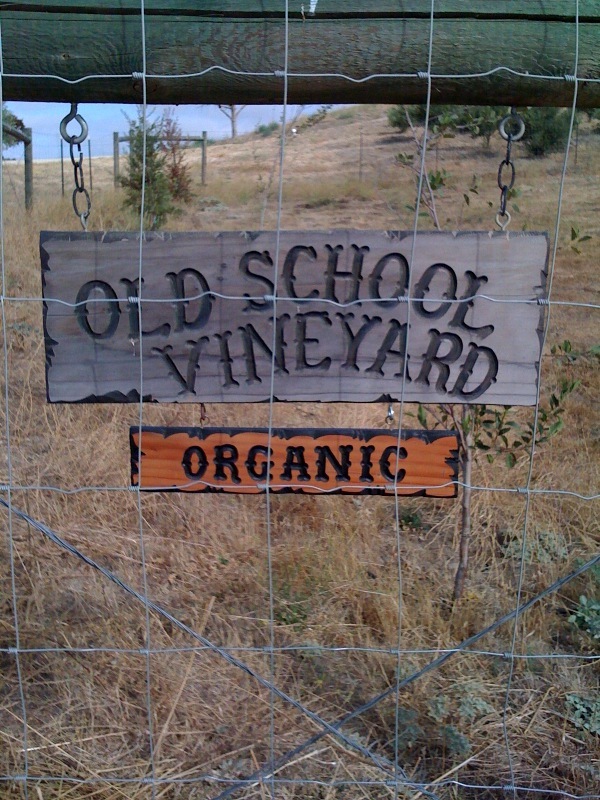 The new organic sign with the aged Old School Vineyard sign. 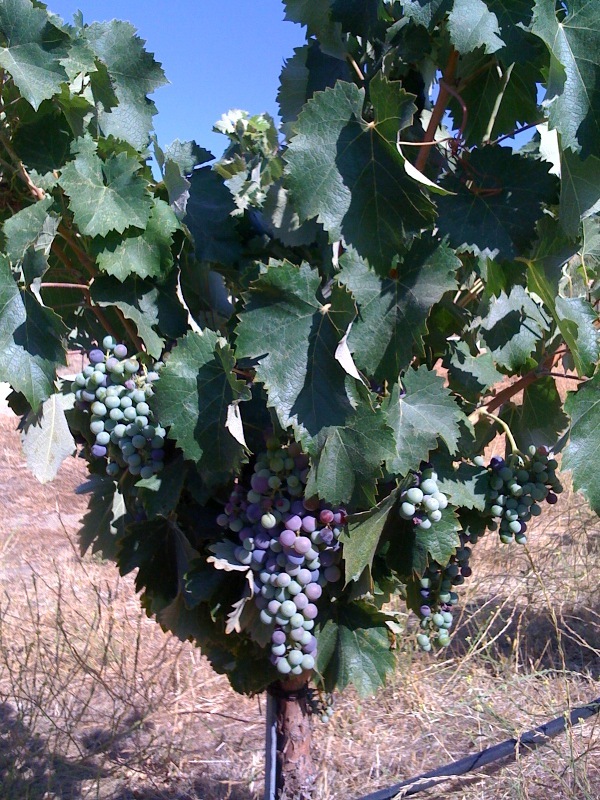 The beginning of veraison in the Grenache block. 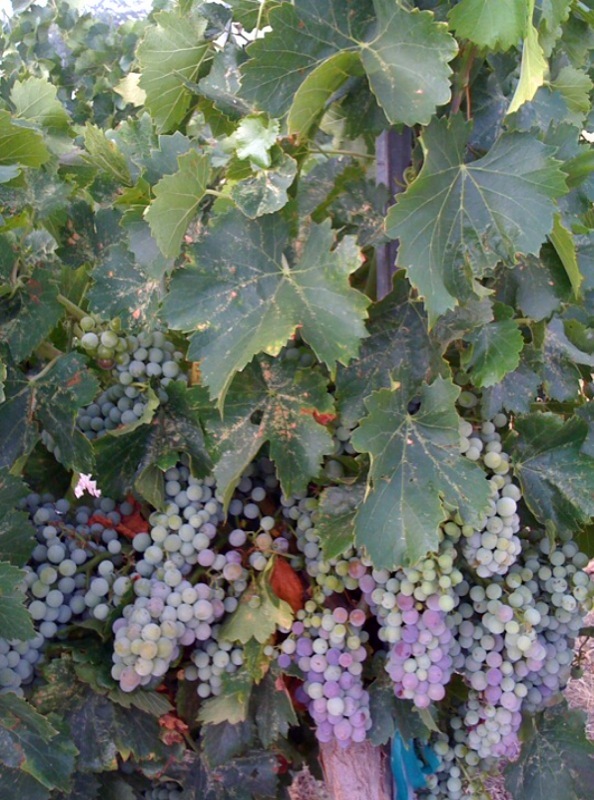 Syrah clusters just beginning veraison. 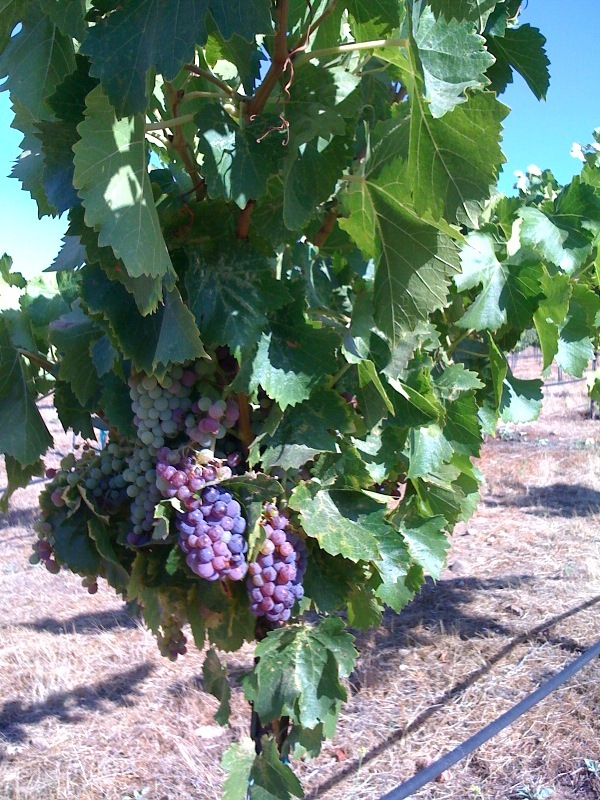 Mourvedre berries just entering veraison.